The internet will soon be due a mechanical service, as it is currently being flooded with a fresh wave of memes, Tumblr threads and posts concerning the long awaited triumph of one of Hollywood’s most beloved and respected actors. Need I say who this is? Probably not, but you get the picture. The 88th Academy Awards will go down in history as the ceremony that granted Leonardo DiCaprio a trophy he deserved more than 12 years ago, but the rest of the ceremony? Blimey, it was an eventful one – all the way from a group of journalists scooping the big prize from a hardened 19th century frontiersman, raging Australian rednecks rounding up the nods, and host Chris Rock unleashing his full comedic force against an unequal film industry. There was a lot riding on Chris Rock’s opening monologue. There wasn’t a critical eye in the world that wasn’t waiting for his views on the whole #OscarsSoWhite backlash– no surprise at the remarks “You’re damn right Hollywood is racist” and “Welcome to the white people’s choice awards”. But the good thing about Rock is he can see the lighter side to proceedings. Although the point was hammered home rather a lot throughout the 3-hour ceremony, he managed to even out the odds and spread the blame not entirely on the Academy. “Black artists deserve opportunity, and they’re not being given it”, amongst the sharp observations in his opening speech, are what’s making the headlines, and in all fairness Rock hit the nail on the head. The whole backlash against the Academy has become a little overblown, and they are not the root of diversity issues in the film industry. Many studios won’t hire lower profile actors, actresses, directors, and film crews from ethnic minorities and mixed races because it’s perceived they will not bring in the box office revenue. That’s the fundamental issue. Back in 2014, Ridley Scott’s Exodus: Gods and Kings was released to controversy about casting white actors in Egyptian roles. 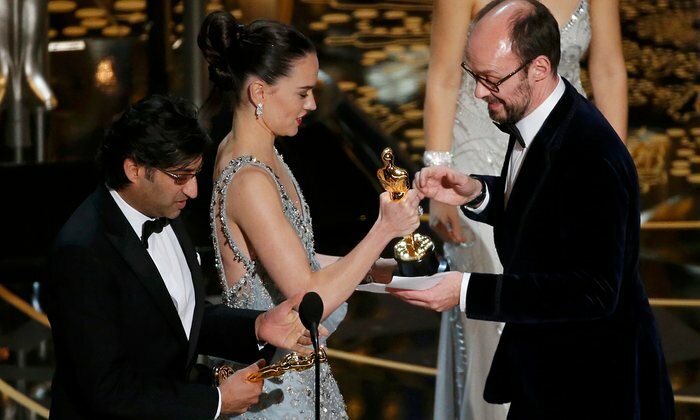 The director’s response was “I can’t mount a film of this budget…and say that my lead actor is Mohammad so-and-so from such-and-such…I’m just not going to get financed.” It’s the industry that has problems, and the Academy is not solely to blame. Rock nailed that. On to the rest of the night now, which saw Mad Max: Fury Road as the grand-standing champion, sweeping up 6 awards to take to the gates of Valhalla, with The Revenant taking home 3, and Spotlight scooping up the big Best Picture trophy. 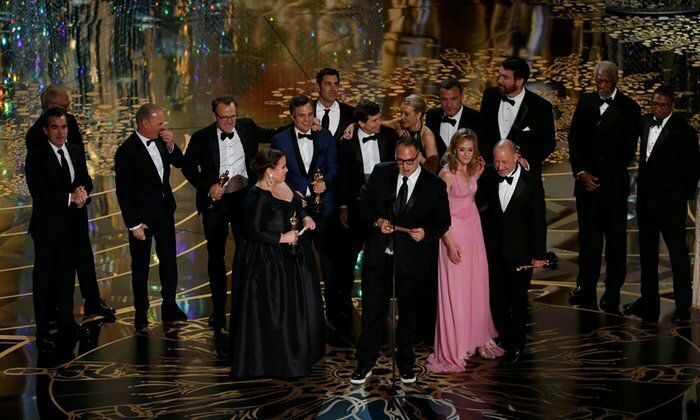 Spotlight’s win was a shock surprise, given that the bookies’ favourite has been The Revenant for some time, but it was a brilliant surprise – it’s an extremely important film, one which demonstrates the power of hard work and commitment to the cause, all crafted with a breath-taking sense of realism and understatement. 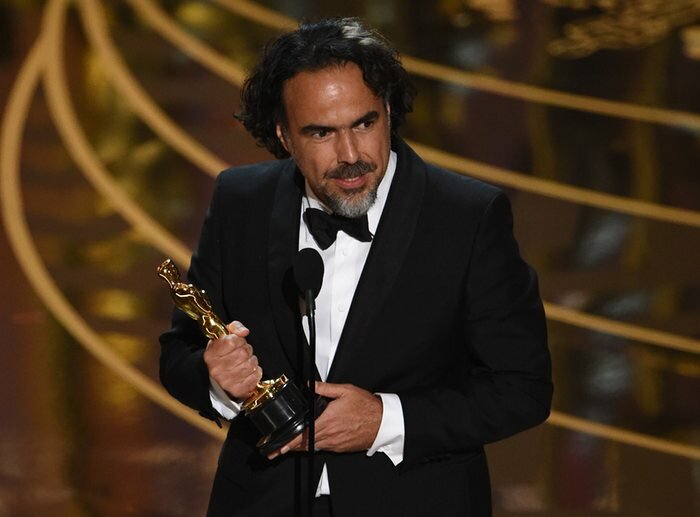 Alejandro G. Iñárritu’s historic consecutive Best Director win came as no surprise. His commitment to capturing the brutal, free-flowing natural set pieces which enveloped The Revenant is an undeniable feat of cinematic astonishment, wrapping what could have been a by-the-numbers blockbuster in a lavish coat of cinematic savagery. 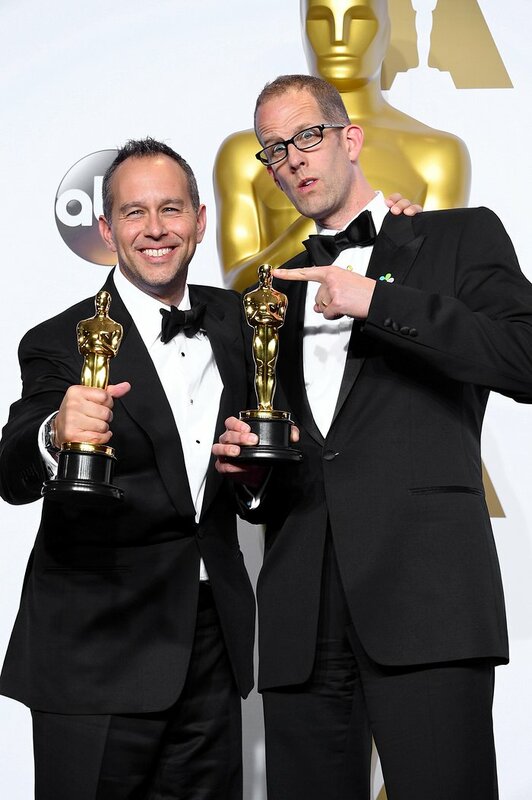 Hats off also to Emmanuel Lubezki for a third consecutive win for Cinematography, another extraordinary feat. During the mid-way point, it looked like the constant stream of technical wins by Mad Max was never going to cease – there was even a glint of hope of George Miller taking away a Best Director, not to Valhalla this time – though it is wonderful that such beautiful orchestral carnage that tells its story through its visuals got so heavily recognised. But one of the true shocks of the night was the low-scale, British film Ex-Machina beating down the Australian juggernaut and even fending off Star Wars: The Force Awakens to take home Best Achievement in Visual Effects. Granted, I would have liked the space opera to have taken home at least one award, though this incredible victory is impossible to not bow to. A few of what appeared to be dead-certs of the night came through as expected – Asif Kapadia’s heart-breaking but affectionate and honest documentary Amy took home its well-earned award, as did Inside Out, Pixar’s latest animated treasure that was shamefully overlooked for a Best Picture nod. Pete Doctor’s acceptance speech was really touching, encouraging the young creative minds of the world to keep writing and drawing and the like – a simple spur-on, yet all the more important. Perhaps the biggest surprises of the night came from the supporting actor and actress categories, with Swedish star Alicia Vikander beating favourite Kate Winslet to the Best Supporting Actress award for The Danish Girl. It’s been a bit of a confusing journey leading up to this award – the debate being that it’s very much a lead role, and the fact that she was nodded for lead at the BAFTAs as well as being recognised as a supporting player in Ex-Machina. Nevertheless, her performance took us deep into the emotional struggles of a woman going through such delicate events that many could never dream of encapsulating. Winslet’s nuance and nailing of such a particular accent may have been impressive, but it seems the Academy favours emotional turmoil. But what left a certain tingling of sorrow in my insides was Mark Rylance’s victory over Sylvester Stallone. Make no mistake – Rylance was wonderful in Bridge of Spies, demonstrating that giving so little away can result in the most captivating and imposing of performances, but for Stallone to have won would have felt like a magnificent end to such a lengthy career. Starting off with Rocky, leaving a life on the streets, working his way to the top, enjoying enormous success, and then coming back to it all these years later, welcomed with such acclaim, only to go and miss out? To me now, it feels like this was Stallone’s last chance to win such a prestigious honour, whereas Rylance will go on to give greater performances in his career. Nevertheless, for Stallone to be welcomed back to the Academy for a role that punched his way to stardom at the beginning is something to smile upon. 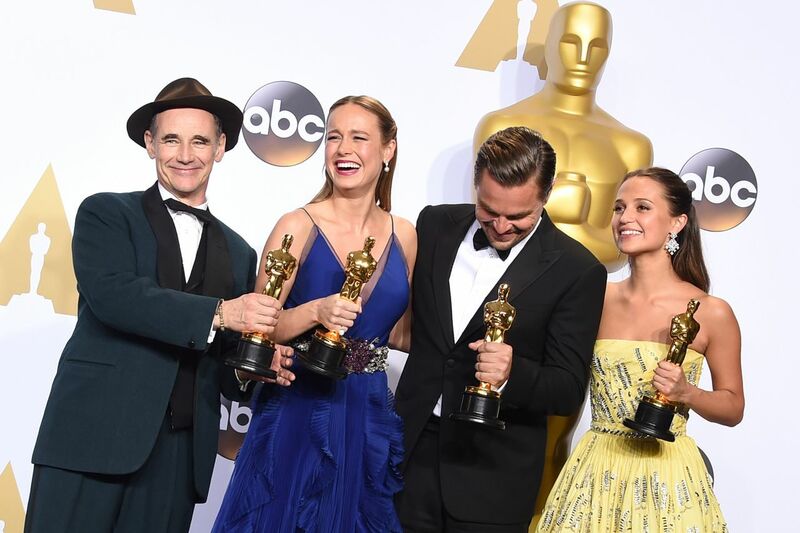 Brie Larson rightly took home the Best Actress nod for Room, and rarely has a winner been quite so outshining. Room is an astonishing film of emotional tenderness that completely lacks any form of Oscar-bait bombast, keeping the tone even with spellbinding character progression grounded in a form of humanism that can never be expressed in the same way again. And of course we have the winner that everyone is talking about: Leonardo DiCaprio finally bagged the award that he was worthy of for nearly 20 years. Giving an impassioned, selfless and courageous speech on climate change after his acceptance, his victory demonstrated just what a committed, talented and hardworking individual he is, and his crawling, bear-wrestling, spitting, animalistic endurance through The Revenant displayed his commitment. There have been some who say this performance was not worthy in comparison to his previous works – most notably The Wolf of Wall Street – but let me quickly refer you to the Australian Winter Olympian Steven Bradbury. Bradbury, a speed skater, never matched pace with other competitors, always being slower, but a pileup of leaders in the last corner of the final of the 2002 1000m short track, resulted in him taking the gold position. In the aftermath, he was unsure as to whether he deserved the win, but eventually decided to take the gold medal not for that race, but for the work he had put into his career for all those years leading up to it. If Leo doesn’t deserve this award for this performance in your eyes, let him have it for all the work he’s given so far. 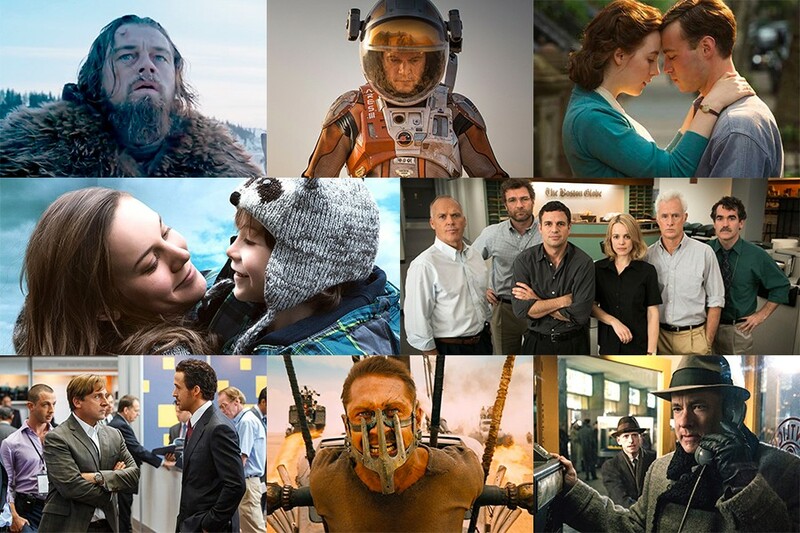 All in all, the 88th Academy Awards proved eventful, politically charged, and fundamentally satisfying, save for a few snubs and general problems that have always plagued it. The ridiculous length (3 hours), the constant reminding of who the Best Picture nominations are, the stilted and wooden auto-queue read outs, and some rather awkward and out-of-place appearances (Stacey Dash, really?). Next year will hopefully boast a whole host of variety in all sizes, shapes, genders, colours and nationalities.